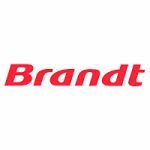 We service / repair / install Brandt Freestanding, integrated and built-in dishwashers 6, 8, 10, 12 or 14 place settings in all areas of Kingston (KT postcodes). A Brassett have engineers with knowledge of all Brandtdishwasher models & we operate in the Kingston area. In addition to mending Brandt dishwashers we can also supply & install, please call us for details or to discuss your requirements. We are happy to work with both domestic & business customers ie. landlords. To book Dishwasher repairs in Kingston call our central booking office 020 8462 6073.